Contaminated fluids are a leading contributor to hydraulic system failures. Even the tiniest dirt or grit particles can jam your valves, score your cylinders, or cause other problems over time. The best way to keep your fluids clean is to invest in regular fluid and filter replacement. When you do so, be sure to use the best products available to you, like Parker hydraulic filters in Chino CA. 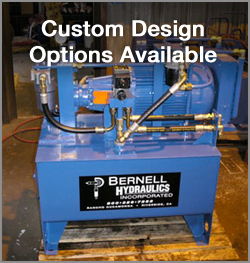 If you suspect your fluid is contaminated, you can get expert help from Bernell Hydraulics. Come visit us or request that our mobile repair service pay you a visit at your worksite. We can use high-tech fluid analysis tools to evaluate your fluid and see if a drain and change or power flush is needed. We can also provide replacements for any Parker hydraulic filters in Chino CA that you may need. If you aren’t happy with your current fluid, ask one of our techs about Parker’s DuraClean hydraulic oil. This ultra premium product is versatile enough to be used as a top treat for VG 32, 46, and 68 oils, or as a total replacement for mineral-based oils. It can help provide longer oil life and improved anti-wear protection for your hydraulic parts.